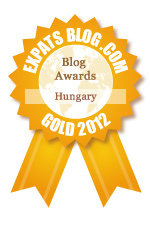 Winner, Best Expat Blog in Hungary! After 12 years in Budapest, Adri knows how to live and love this crazy city. In addition to blogging, she offers seminars to get you settled, and can hook you up with some supercool ways to see the city. Contact her at adri@adriknows.com. www.uniquebudapest.com www.carvingvehicles.hu www.exbox.hu email adri@adriknows.com to book a DISCOUNTED tour or event with these fun companies!